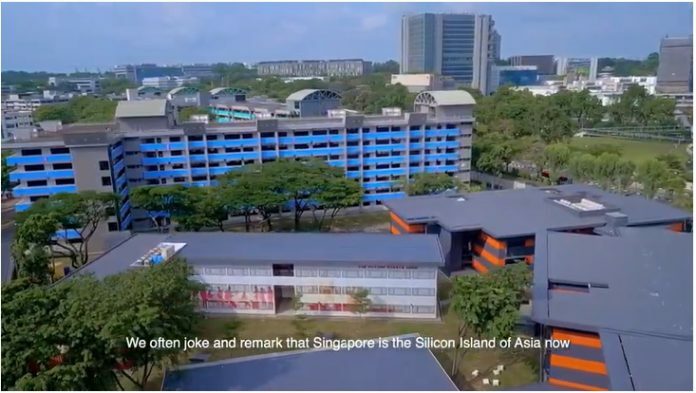 The Lion City now emerges as a world-class technology center in Asia and is currently a preferred destination for tech businesses aspiring to launch into the region’s rising markets. In the 2019 Doing Business report of the World Bank, Singapore has been consistently acknowledged as the best place to do business. According to the country’s Economic Development Board (EDB), 80 out of the world’s top 100 tech firms have operations in the city. In 2017, Singapore was ranked 6th in the Bloomberg Innovation Index, ahead of Japan and the U.S.
Jones Lang LaSalle, a real estate advisory firm, conducted a study and its findings showed that Singapore tops as a foreign investment destination for Chinese tech giants Alibaba, Baidu and Tencent. Correspondingly, Google, Amazon and Facebook also have deeply-rooted regional operations in Singapore. So, why do foreign firms choose to invest in Singapore? and why has Singapore become such an irresistible magnet to global tech giants? Another reason is its innovative environment. Invention and innovation are integral parts of the city-state’s business culture. In Singapore, it is a common sight to see established businesses and startups frequently team up on projects — and analysts have taken notice. In 2017 alone, Global Innovation Index graded Singapore as the most innovative country in Asia. The reason why firms like Amazon and IBM are using Singapore to pilot pioneering ventures and novel endeavors before these are rolled out globally. Then there’s Singapore’s plug-and-play business atmosphere which allows tech companies to hit the ground running almost instantly and that is because in Singapore, firms obtain fast access to one of the most technologically-advanced IT infrastructures in the world. Companies can tap into that infrastructure, test and pilot new products as soon as they set up their WiFi network. Additionally, Singapore gives high priority to intellectual property protection. For tech companies, nothing is more valuable than their IP. In Asia, terrible tales can be found about avaricious companies conning another company’s tech innovations to make fast profit. However, Singapore’s IP laws are hard-hitting and very well implemented. The Singaporean government’s dedication towards a robust IP regulatory structure offers tech companies confidence that their R&D investments will stay safeguarded and secured. In fact, according to the World Economic Forum, Singapore ranks 1st among all Asian countries, and 4th in the world, for intellectual property rights protection. Any business that hopes to establish or expand its reach into Asia, or any entrepreneur who visualizes a new undertaking that can change the world, would do well to take a closer look at Singapore. They should take their cue from the many tech giants that have already established themselves and have shown to thrive in this tiny, progressive city-state.